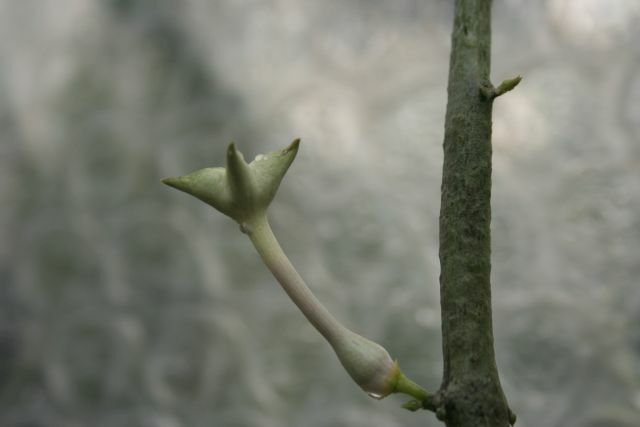 Ceropegias - De website van paulshirleysucculents! 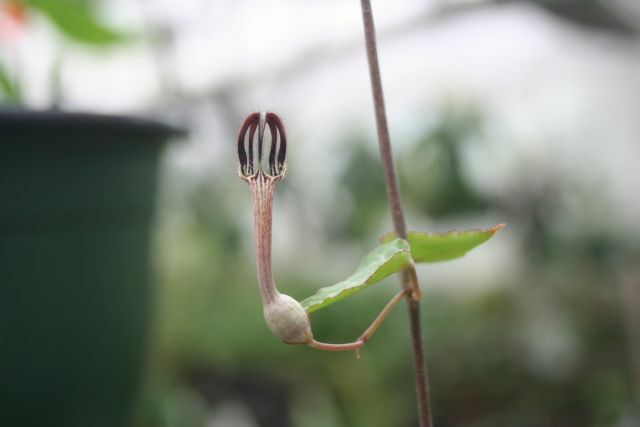 Ceropegia ampliata is one of the easiest South African species to grow in a greenhouse. 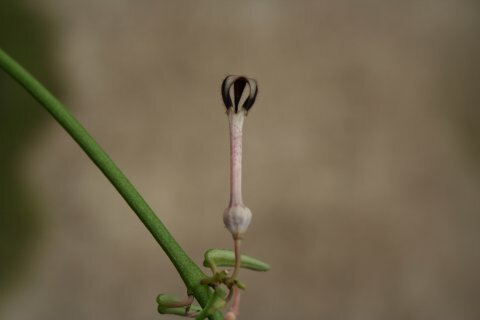 It has thick fleshy roots, succulent stems and tiny leaves. The large flowers always appear in the autumn. In the winter it should be kept dry and it can take temperatures down to 8°C. If grown in good conditions, it can grow a number of metres in a year. 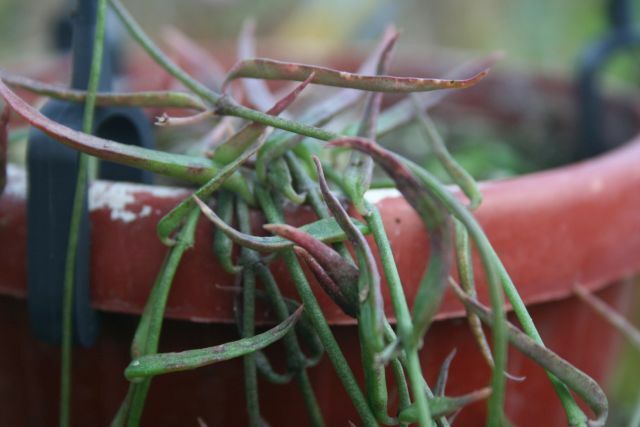 It is very easy to propagate from cuttings as they root very well. 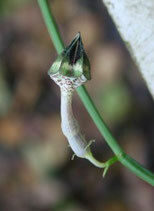 It does not readily produce seed in cultivation, so you will not often see seed on offer. 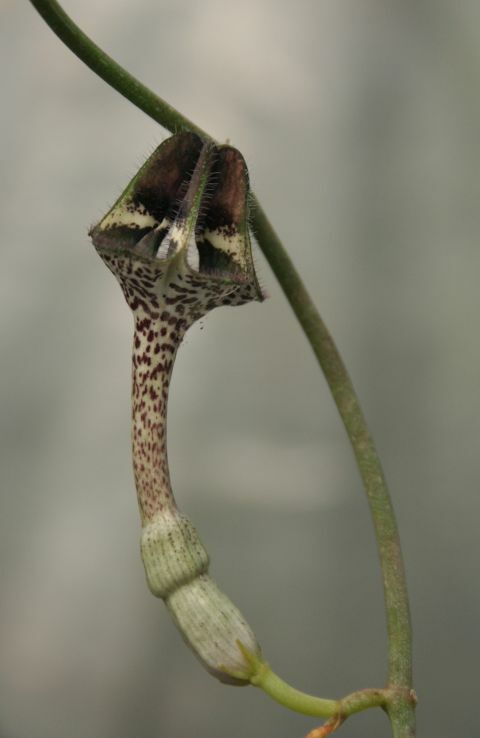 Hybrids from this species are not available, unlike those from Ceropegia sandersonii and Ceropegia stapeliiformis which are quite common. 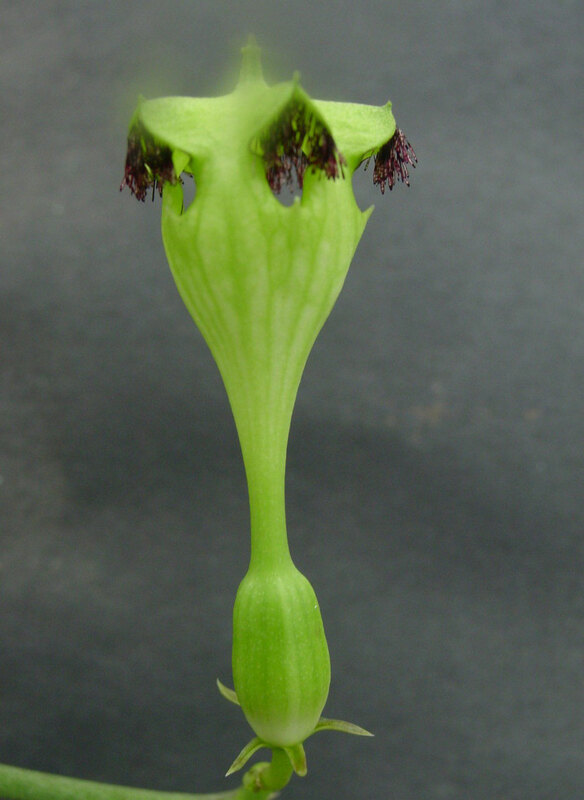 The pollination mechanism in Ceropegias is so complicated and small that it is virtually impossible to do by hand; you must leave this delicate work to insects. It does not matter much what species of insect attempts to pollinate the flowers, it is the size of the insect that is important. 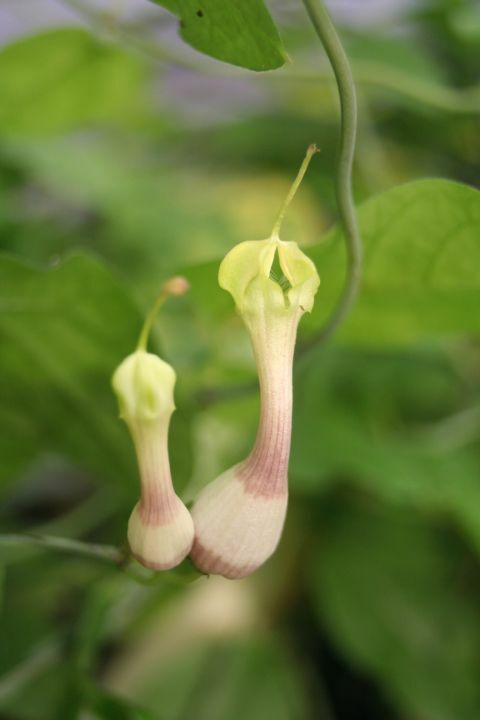 This Kenyan species is a rampant climber. 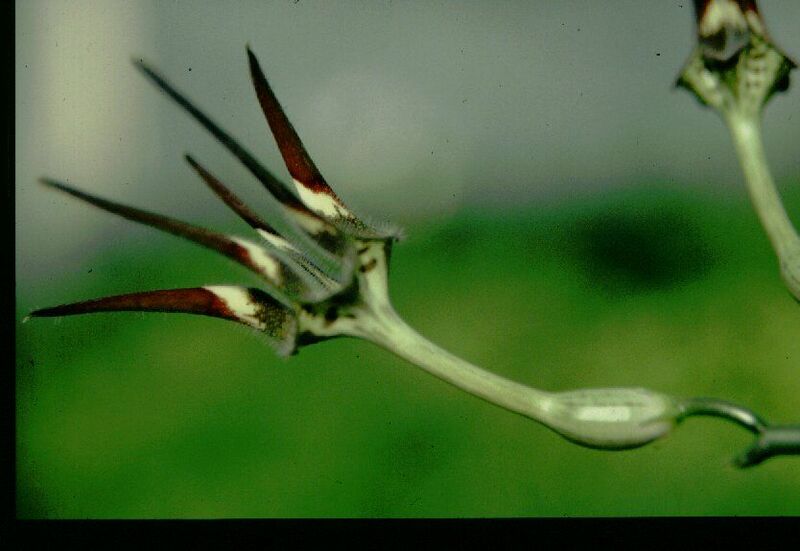 The stems are produced from slightly thickened roots and can reach two meters or more in length. 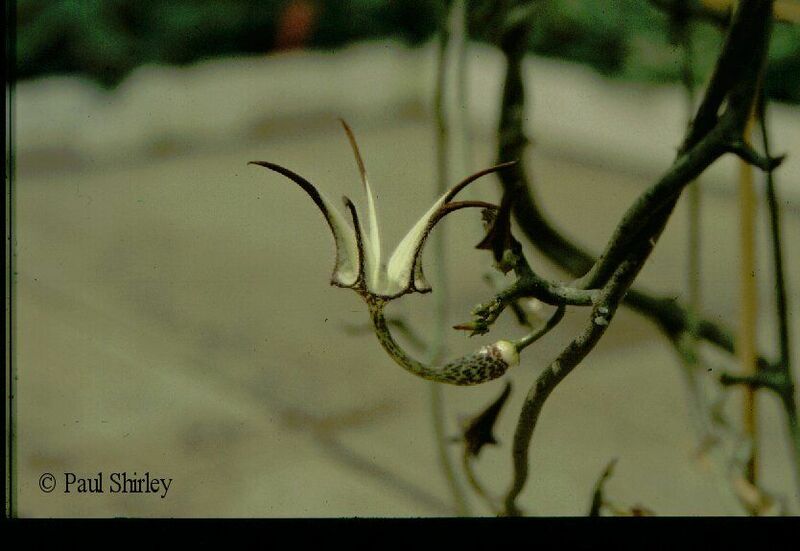 In the dry season the stems die back. 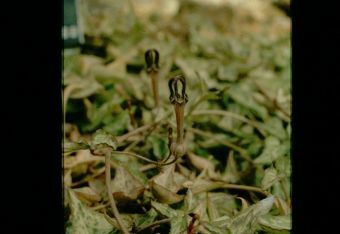 Sometimes new shoots are formed at the onset of the dry season which can survive as dormant pieces when most of the old stem has dried up. These will fall to the ground and start growing when the rains come. 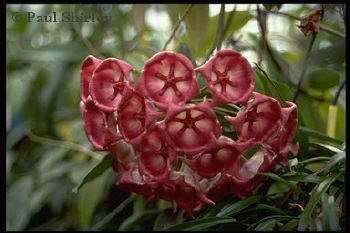 Few flowers are produced each year. 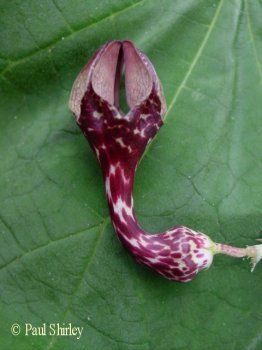 There can be quite a variation in the size and colour of the flowers of this species. They can range from reddish brown to green. This is a very easy species to grow, just as easy as Ceropegia woodii. 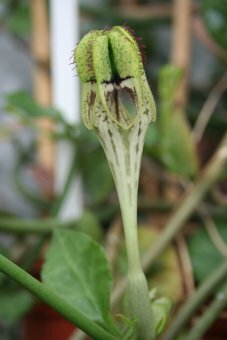 It is a trailing variety which will sometimes climb; it will grow very long, but do not be tempted to cut it back or you will lose the flowers. 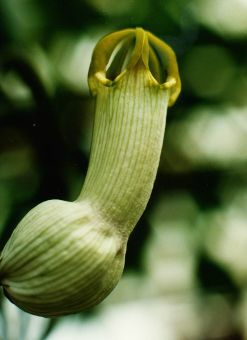 The flowers will appears when the plant has reached a length of about 1.50 metre. 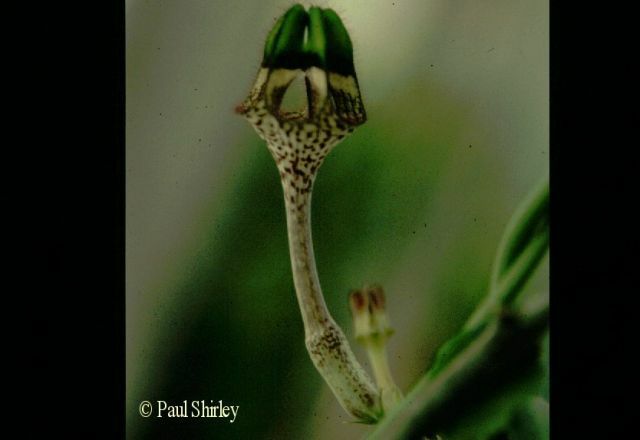 The flowers are about 2cm long and do not stand out. 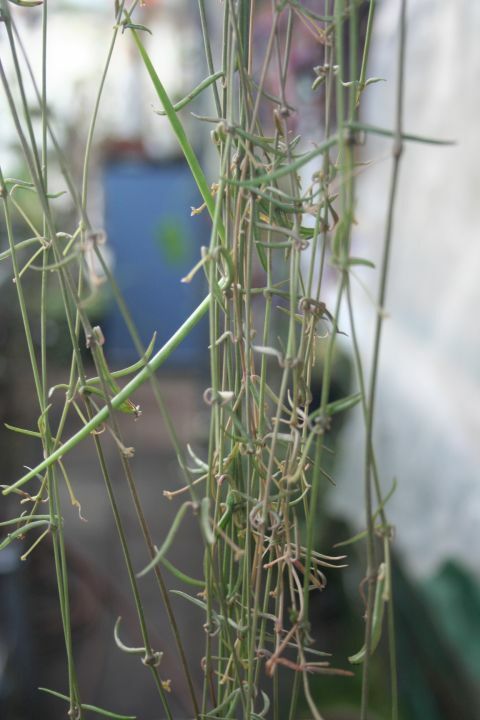 The leaves are long and thin, hence the name linearis. If you grow a stem horizontally, for instance on a potting table, the nodes will send out roots if they touch the soil. 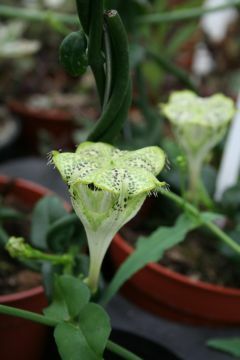 This species originates from South-Africa, is very easy to flower and can be trailed over a trellis. 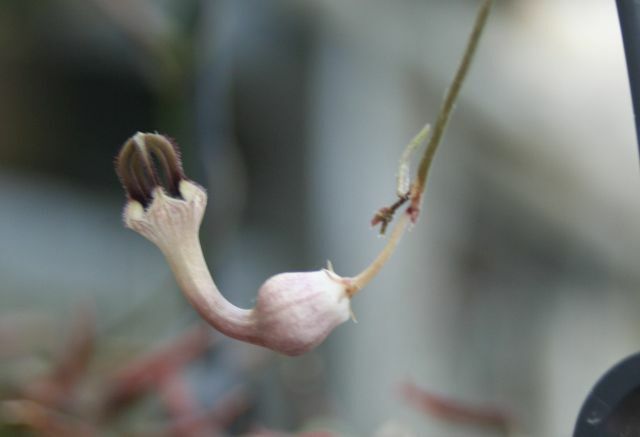 The flowers are fairly large with a distinctive roof. It flowers for most of the year, but more profusely in the autumn. 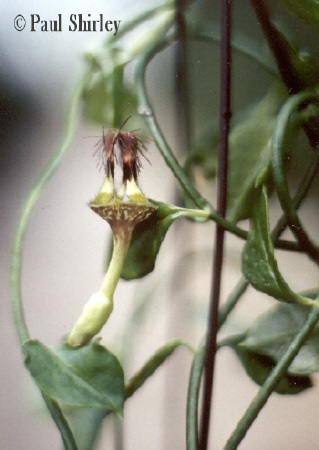 If you are lucky you can even get seed pods and sow the seeds yourself; the seed can germinate within 24 hours, but you cannot keep it for very long. 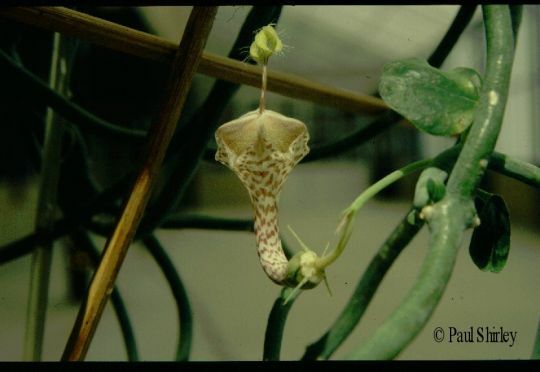 A very common plant in collections. It has a creeping habit, but will just as easily climb on anything nearby. 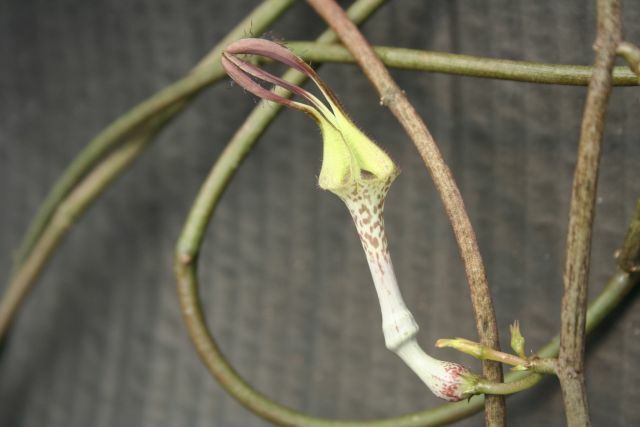 Many hybrids have been produced from this species. 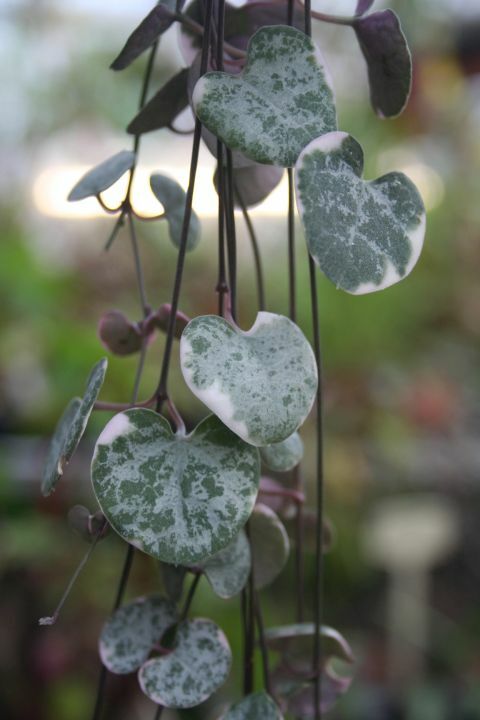 One of the best-known and easiest to grow plants in this group. It is tuberous-rooted and is usually grown as a hanging plant. It flowers freely. 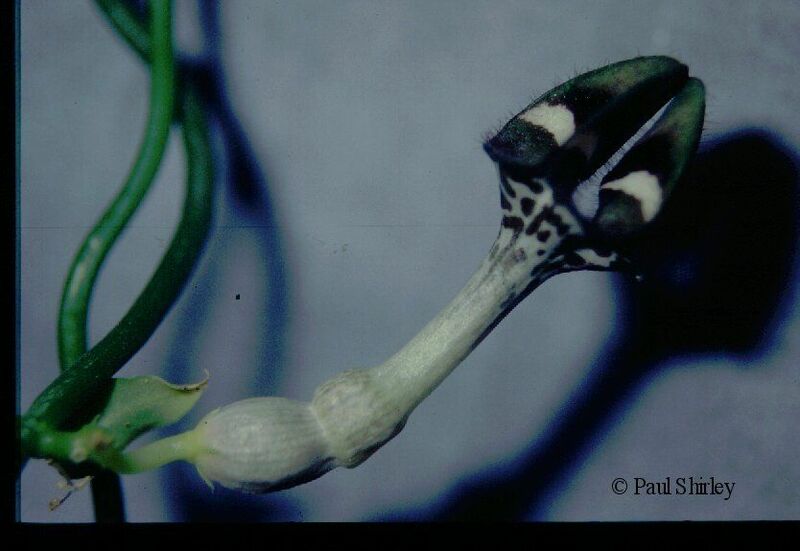 It will frequently produce tubers in the nodes.